Vega 5 Makeup Brush Set was the first makeup brush set I bought for myself. It is of really good quality and all the brushes do their job pretty well. 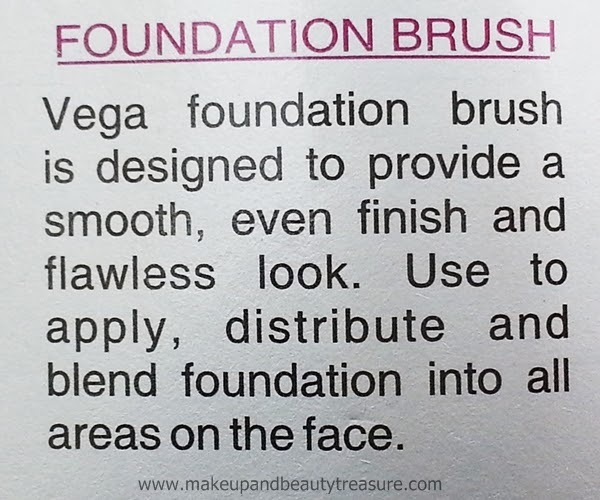 I was in search of foundation brush for a long time and ordered Vega Foundation Brush from Purplle. 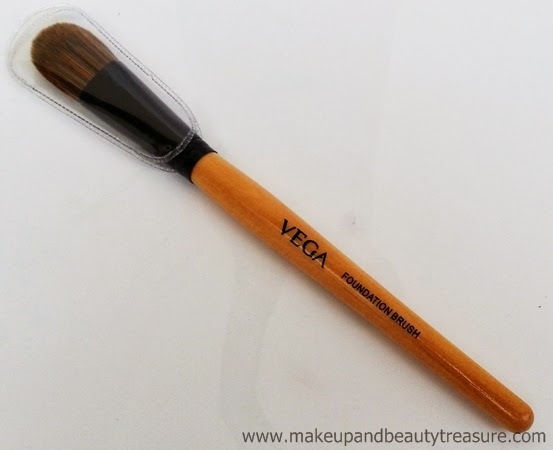 Today I am going to discuss my experience with Vega Foundation Brush. Price: 250 INR BUY ONLINE from Amazon at an offer price! 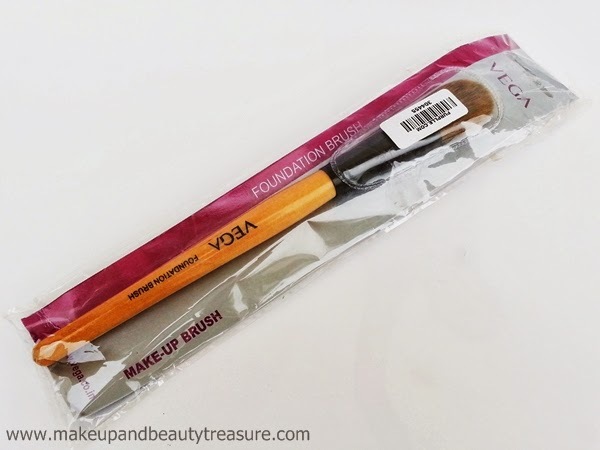 Vega Foundation Brush comes packed in a thin plastic reseal-able case. There is a plastic protector on the brush that protects the bristles from getting damaged or out of shape. The brush is made of yellow-ish brown wooden handle with black metal in between the handle and brush fibers. The bristles are made from good quality synthetic fibers and feel very soft on the skin. The brush is quite light and easy to hold. It is flat and has dome shape that allows even application and provides flawless finish. The brush is specifically meant for liquid foundation. I simply dispense a small amount of liquid foundation on the back of my hand and then pick up the foundation using the sides of the brush. I then apply small blobs of foundation using the brush and blend it all evenly and properly. The bristles of brush are very soft and do not feel harsh on the skin. Make sure you are gentle with the brush and use small brush strokes for proper and flawless application. Sometimes when I am in hurry, I apply the foundation dots all over my face and blend it using the brush. I do not find any foundation stuck when I use some more foundation. Due to its dome shape, it reaches the small and difficult to reach places like edges of nose and the eye area without poking. When compared to round foundation brush I feel it requires a lot of work to blend in the foundation really well to achieve flawless finish otherwise it would leave streaky lines behind. Although I really don’t mind blending it a bit more as it does gives a smooth finish after blending but I feel it soaks the foundation fast and I need to use more foundation than required. Cleaning the foundation brush is very easy. I simply stir it around in the baby shampoo and rinse it with warm or cold water. I have washed it many times and have not noticed a single shed of the brush yet which is highly impressive. • Blends the foundation well. • Helps to achieve a flawless finish. • Soaks up more foundation. 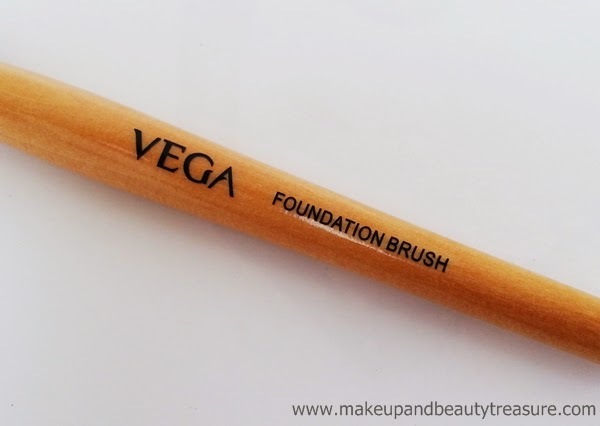 Vega Foundation brush is an average brush that does its job pretty well but soaks a bit more foundation than required. It feels soft on the skin and blends the foundation really well giving a flawless finish. 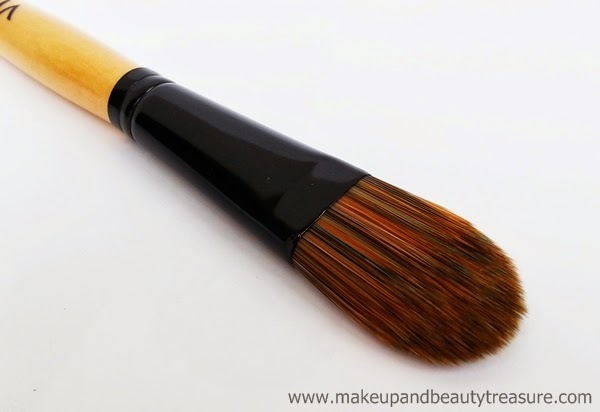 If you are looking for budget friendly foundation brush then I would definitely recommend it to you! 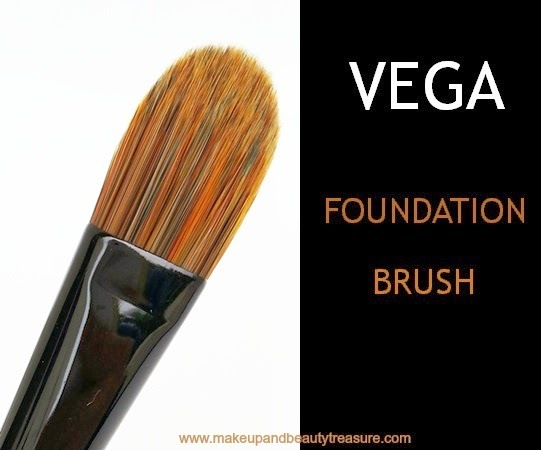 Have you tried Vega Foundation Brush? How was your experience? Share in the comments section below!